Brad, call me about your cell site lease. Brad I would need to talk to you directly. Give us a call to go over all the terms and I would need to see their offer and how they are writing the terms. Its very tricky and things are not always what they seem. Call me to discuss... our initial contact will not cost you a penny. I need to understand every aspect of the deal to give you the proper advice. I don't bite... well I have not bitten anyone since the third grade so I promise to behave myself. The call could save you thousands of dollars each year. My lease has language that requires my blessing to add more carriers. Is it better to ask for a lump sum per month or a percentage of what that carrier is paying to the company that controls the tower? They are offering cpi increase every year. Will pay an additional square foot price if/when more ground is needed. They want me to give up my existing right to grant my blessing for additional carriers. 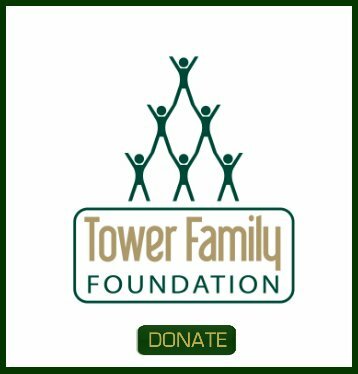 3000 to give them first right of refusal if I were to sell the land or tower lease. 3000 to sign the extension. Thanks for posting your question on the blog. 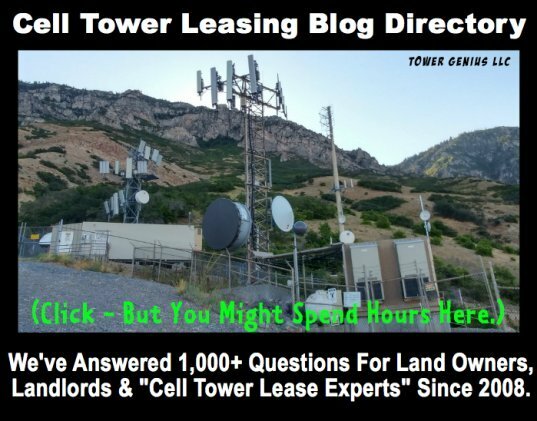 There is no cookie-cutter answer for what the going rate is for cell tower lease extension and add ons. 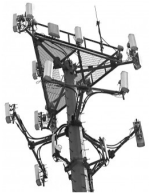 Are you dealing with a tower company (like Crown, SBA, American Tower) or a carrier? Is the carrier proposing to add additional equipment within their footprint, or are they bringing in an additional carrier and subleasing the ground space? Do you know if the carrier has subletting rights or do you control the ground space (or rooftop space)? Or are you getting only a percentage of collocation revenue? Is the lease expiring and who is the carrier or were you contacted by one of the "rent optimization" companies? I'm sending you an email, let's talk today.